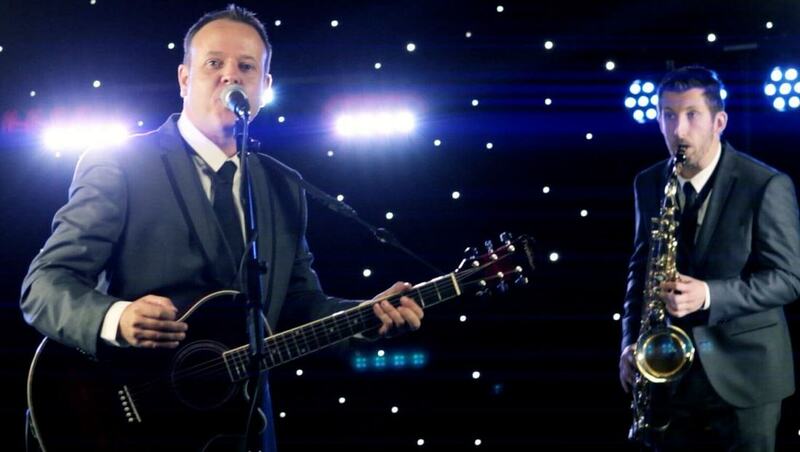 The Stewart Reid Band are regarded by many hotels and booking agents as one of the best wedding bands Scotland has to offer. They also perform as a function cover band for birthday parties, corporate events and other Scottish events. They are also the first ever wedding band to win a Vows Award! The band will travel all over Scotland and have performed at weddings in Glasgow, Stirling, Edinburgh, Perth, Aberdeen and Inverness. Travel expenses & overnight accommodation may apply if outwith Ayrshire and Glasgow areas. Trying to decide between a wedding band and DJ? Problem solved! The Stewart Reid Band can do both! Their standard playing times are 8pm - 12am but you could also book the band from 8 - 11pm, and have them do a DJ set from 11pm - 12am for no extra charge! Or for an extra £150 the band can DJ from 12 - 1am, if you have a late license. From old skool 90's dance hits to up-to-date party bangers, they'll keep the floor filled right until the very last song! You can even choose some of the DJ songs that they play. Here's The Stewart Reid Wedding Band set-list. It's one of the largest and most varied sets of any Scottish wedding band! If you've already booked the band please look through this list and let us know any songs you do not want the band to perform. You can also pick up to 10 favourites from this list to make sure they will be included in your Wedding Reception songs list. Your favourites will also help us to tailor our set to your musical tastes. Beatles Medley - I wanna hold your hand, Hard Days night, She love you. The Stewart Reid Wedding Band love what they do, and it shows! They don't just stand on stage and play songs; they perform to every audience with an enthusiasm that is infectious. ​Your wedding guests will be singing and dancing along in no time! Stewart is one of the best wedding singers in Scotland and his vocal ability is legendary. Andrew is an expert guitar and Saxophone player! They've been wowing audiences for over 10 years.